Silk is the major and mostly used fabric in India. Silk is the largely selling fabric besides to cotton. Most the clothes made of silk are of more demanding because of the comfort and durabilty of the silk. So, the clothes woven of silk are high on demand. Silk is obtained naturally in form of silk worms which makes it a most used product and expensive. 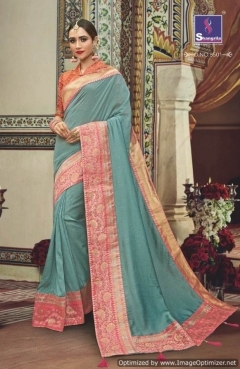 Sarees are the most basic and conventional attire in India. The combination of the silk and Wholesale sarees is unbeatable and unbreakable. Wholesale Silk sarees are more comfortable and look more gorgeous compared to any other clothes. Silk sarees are mostly used for the festivals, weddings, fucntion, And other important occasions. They look grand and make your look more unique. Silk sarees are of different types such as Banarasi, Bhagalpuri, Mysore silk sarees depending on the region where they made. Pure silk sarees are of more demand. High quality pure silk saree get the most price compared to the low quality silk. So, Pure silk sarees in wedding are the most common due to their richness and quality. So, get the Wholesale silk saree at sanvari fashion and look rich and gorgeous at your wedding and sangeeth. 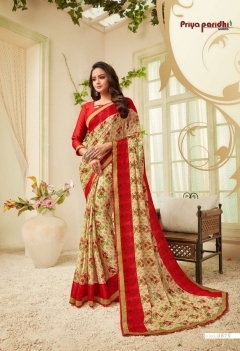 Wholesale Pure Silk Sarees at Sanvari Fashion. Silk sarees at Sanvari fashion are of best quality and are more gorgeous as we are the best manufacturer and supplier of wholesale Pure silk sarees at cheap prices in surat, India. You can select from the broad range of Wholesale pure silk sarees designs, catalogs, patterns, layouts, colors at Sanvari fashion. It would be difficult for you to select from the massive range of designs. We also have an online wholesale store where you can shop from your place itself. We also deliver to almost all the places in India such as Mumbai, Bangalore, Lucknow, Hyderabad,Delhi, Kolkata etc,. You can also track your order form your place itself at our wholesale website Sanvari fashion. So, grab the wholesale Pure silk sarees of your choice at Sanvari Fashion at very low prices In Surat, India & Globally.